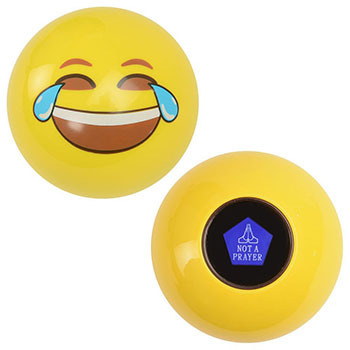 Made out of a yellow sphere of crying-while-laughing, the Magic Emoji 8-Ball serves up a variety of emoji-based predictions when you turn it over. (The full set is shown on the manufacturer’s listing.) It’s frequently bought with Uno Emoji, because humanity is locked in a cabin on a sinking ship, nowhere to go, running out of ideas as the water rises around us.